It was a noble sentiment that once resonated with Americans who believed passing along their history to a new generation of citizens was something that ought to be done. Not anymore. One of the new citizens, Juliet Sanchez, a teacher born in Colombia, told the Washington Post: “We can and should respect, celebrate and embrace our new culture, but you shouldn’t tell us to assimilate.” This attitude may be one factor contributing to an increasingly divided America. The other is equally disturbing. A recent poll conducted by the University of Pennsylvania’s Annenberg Public Policy Center discovered that Americans are ignorant about the Constitution and the rights it protects. The poll found that 37 percent of those interviewed could not name any of the five rights protected by the First Amendment. Forty-eight percent got freedom of speech right. Thirty-three percent could not name one of the three branches of government and only 26 percent correctly named all three. 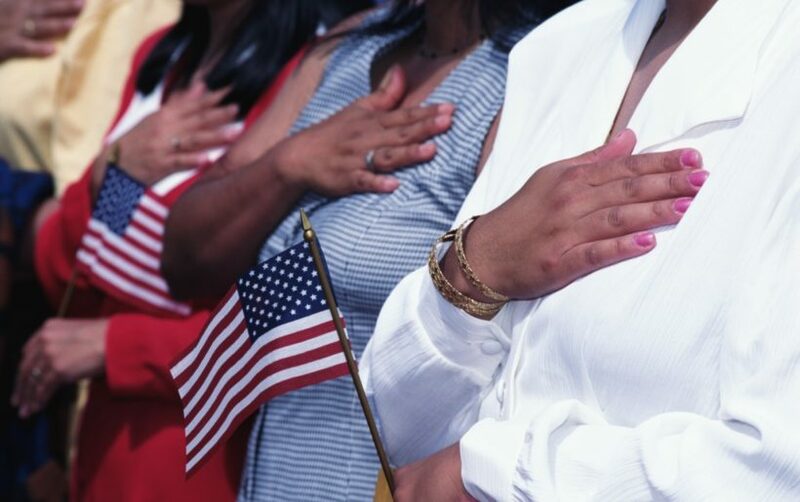 In an era emphasizing diversity and multiculturalism and the fear that anyone teaching the superiority of the Constitution might be named a xenophobe, or bigot, even the Pledge of Allegiance is being challenged in some schools in an effort not to offend immigrants. Another study by the Newseum Institute discovered just 19 percent of those polled know the First Amendment guarantees freedom of religion. Ignorance about the documents that founded and have sustained America through many challenges ensures the country we have known will not be recognized by future generations. That is fine with some on the far left who appear embarrassed and ashamed of America and think it the cause of many of the world’s problems. Hillsdale College in Michigan is trying to make up for this ignorance about the Constitution by offering a free online course. Higher education’s failure to educate produces graduates who find it difficult to find jobs and must return home to live with parents. Unfortunately, when they return they’re burdened with crushing student loan debt, which according to the Department of Education, is at an all-time high of $1.33 trillion. So desperate are graduates to wipe out their debt that the personal finance website, Credible, surveyed millennials (ages 18 to 34) and found that 50 percent of them would give up their right to vote during the next two presidential election cycles in order to never make another loan payment. What does this say about our next generation of Americans? These polls demonstrate the failed products of a once-great American education system. It is why those who can afford it are turning to private schools or to home-schooling. Many consider public education to be America’s last monopoly, but these polls indicate that it isn’t working for individual Americans and it isn’t working for the nation. Published Sept. 19, 2017 at courierpress .com. Reprinted here on October 5, 2017, for educational purposes only. May not be reproduced on other websites without permission. 1. The purpose of an editorial/commentary is to explain, persuade, warn, criticize, entertain, praise or answer. What do you think is the purpose of Cal Thomas’ editorial? Explain your answer. What is your reaction to this assertion? Explain your answer. 5. Ask a parent #3 and 4 and discuss your answers.